As the 19th biggest economy on the planet and the largest in the Arab world – accounting for around half the $1.6trn represented by the GCC, according to Tadawul data – Saudi Arabia is already a global behemoth. Tumbling oil prices and subsequent OPEC cuts in oil production this year, however, have dealt their share of blows to the Saudi economy, with the IMF slashing its 2017 forecasts from two percent to 0.4 percent in January. In response, in May last year the Saudi Government laid out plans to modernise, diversify and globalise its economy under its Vision 2030 plan, implementing a series of wide-ranging reforms designed to open the kingdom to foreign investors, reduce its reliance on oil exports and bring it in line with the world’s most powerful emerging economies. “My first objective is for our country to be a pioneering and successful global model of excellence on all fronts, and I will work with you to achieve that”, declared King Salman Bin Abdulaziz Al-Saud at the project’s outset. By loosening restrictions on outside investors and introducing new regulations, Saudi Arabia’s overarching goal under the programme is to rank itself among the top 15 economies in the world by 2030. The effects of Vision 2030 on various Saudi sectors are far-reaching, but among those set to benefit is the asset management sector. One company capitalising on such opportunities is NCB Capital, the investment banking and asset management arm of National Commercial Bank (NCB), Saudi Arabia’s first bank.As the largest asset manager in Saudi Arabia and the biggest Sharia-compliant asset manager in the world, NCB Capital is in a strong position in Saudi Arabia. World Finance spoke to Khaled Waleed Al Braikan, Head of Asset Management at NCB Capital, to find out his views on Vision 2030 and whether it will create opportunities for the asset management industry and NCB Capital itself. 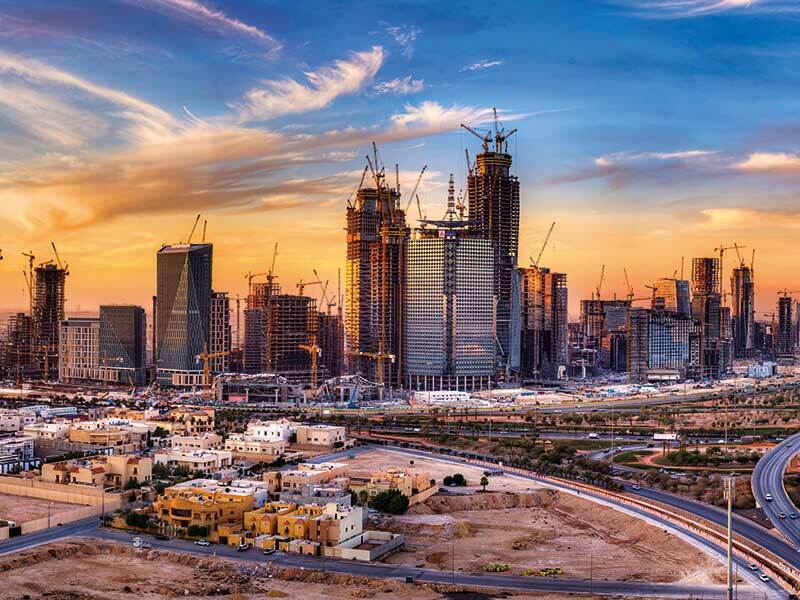 Though the Vision 2030 reforms are wide-ranging and carry significant positive implications for the Saudi economy in the longer run, they have also sped up the process of opening the Saudi market to international investors. Al Braikan believes the potential inclusion of Saudi Arabia in the MSCI Emerging Markets Index (a decision still to be made at the time of print) is among the most significant outcomes of the ongoing stock market reforms: “The MSCI and FTSE Russell indices are benchmark indices for equity investment managers globally. As Saudi becomes part of these indices, we expect to see many more regional and international investors coming to the Saudi market.” If the MSCI inclusion goes ahead, it is expected to bring significant international portfolio inflows to the Saudi stock market. Beyond that, there are various regulatory reforms already underway to help achieve the targets and encourage the interest of overseas investors. Since June 2015, for example, international equity investors with assets under management of more than $5bn have been able to access the Saudi exchange by applying to become Qualified Foreign Investors (QFIs). Back in 2016, market authorities lowered this assets under management cap to $3bn in order to facilitate more QFIs’ entry to the kingdom. April this year, meanwhile, saw the switch from a T+0 to a T+2 settlement cycle for listed securities – a model used by the majority of leading emerging markets to make stock market transactions more secure, and to attract more investment from overseas. Whereas execution and settlement previously took place on the same day, investors now have two days to verify deals and arrange funds. Al Braikan refers to the recent authorisation of short selling as a further incentive to foreign investors, who now have the option to sell borrowed stocks and hedges. There is also the Independent Custody Model, which means international investors can now allocate a global custodian bank to hold their assets, rather than having to use a local broker. Developed as an alternative to the traditional stock exchange, Nomu is a lighter market with more flexible listing requirements than the Tadawul, which has been designed to enable smaller companies to get listed, in turn stimulating the wider local economy. The Nomu market is restricted to qualified investors, whereas companies require a minimum market cap of SAR 10m ($2.7m). The reforms under Vision 2030 and Saudi Arabia’s National Transformation Programme 2020 (NTP 2020) have far-reaching effects across many sectors at Tadawul. Al Braikan highlighted a number of sectors that stand to benefit as a result of these reforms. The Saudi telecoms sector, for example, will see growth in three key areas: higher fibre optic coverage across the kingdom; improved availability of frequency spectrums to Saudi telecoms companies; and extensions in wireless broadband availability to remote areas. Al Braikan also highlighted that, under Vision 2030 and NTP 2020, the Saudi Government intends to fully privatise the electricity generation capacity while restructuring the existing power utility. The government will also bring power tariff reforms through the removal of further subsidies. Speaking about the Saudi minerals sector, Al Braikan referred to these reforms as the future growth engine of the industrial sector, as Vision 2030 incorporates major investment plans to develop the mineral sector. On Saudi healthcare, Al Braikan revealed that Vision 2030 promises major reforms, including the privatisation of government hospitals, further optimisation of current healthcare spending, incentives for the private sector to step up its investments, and addressing lifestyle diseases through lowering smoking levels and curbing obesity. Al Braikan is also extremely positive about the future of religious tourism. Vision 2030 aims to increase the number of Hajj and Umrah pilgrims through sustained investments in the physical infrastructure of the two holy cities. Accordingly, this should benefit the listed enablers of this sector. Al Braikan was also of the view that developments such as the evolution of real estate investment trusts (REITs), the imposition of white land taxes and higher government spending commitments to build houses for the masses will create opportunities for the listed real estate sector. Al Braikan also named the insurance sector as a key beneficiary of Vision 2030. According to Al Braikan: “Saudi Arabia has strong investment capabilities and tremendous growth potential. This is on the back of the kingdom’s strategic location, immense natural and mineral resources and favourable dynamics. Saudi Arabia is ideally located in the midst of Asia, Europe and Africa. This enables the kingdom to offer transit and gateway facilities. Ultimately, Saudi Arabia can emerge as a major regional trade hub. Furthermore, Saudi Arabia can build upon its industrial base that takes advantage of its vast natural resources. Given the mining potential in the kingdom, sectors and industries can further be developed in areas such as phosphates, metals, energy and petrochemicals. Al Braikan highlighted the marked reduction in the government budget deficit to SAR 26bn ($6.9bn) in Q1 2017 from SAR 91bn ($24.3bn) in Q1 2016. This allowed the government to reinstate allowances for public sector employees. NCB Capital believes restoring these allowances will increase average household income and may also increase the discretionary spending capability of a household in general. Al Braikan also pointed out that recent international sukuk issuance will further improve liquidity in the local market.